Although the national population is comparatively small, Scotland remains the world’s most popular nation for whisky production. With over 100 active distilleries, the country is divided into five different whisky-making regions – Campbeltown, Islay, Speyside, Highland and Lowland. In the north of the country, it’s the Highlands that’s the nation’s largest region in terms of both area and production. Founded during the late 1700s, Balblair Distillery operates from a site in Edderton (close to the Glenmorangie and Dalmore distilleries) and is one of Scotland’s oldest active distilleries. Additionally, it is the only distillery to exclusively release vintage bottles. Bottled in 2015, Balblair 2005 is the latest vintage to join the distillery’s core range, joining 1999, 1990 and 1983 vintages, replacing 2003. Non-chill filtered and aged in ex-Bourbon American oak casks, Balblair 2005 has a distinctly sweet nose that’s far more attributed to American whiskey, juxtaposed to Highlands single malt. When poured, the liquid has a natural straw complexion while the nose has prominent aromas of vanilla from the oak, leather notes and fresh green apples. These are followed by notes of honey, citrus rind and sweet toffee. 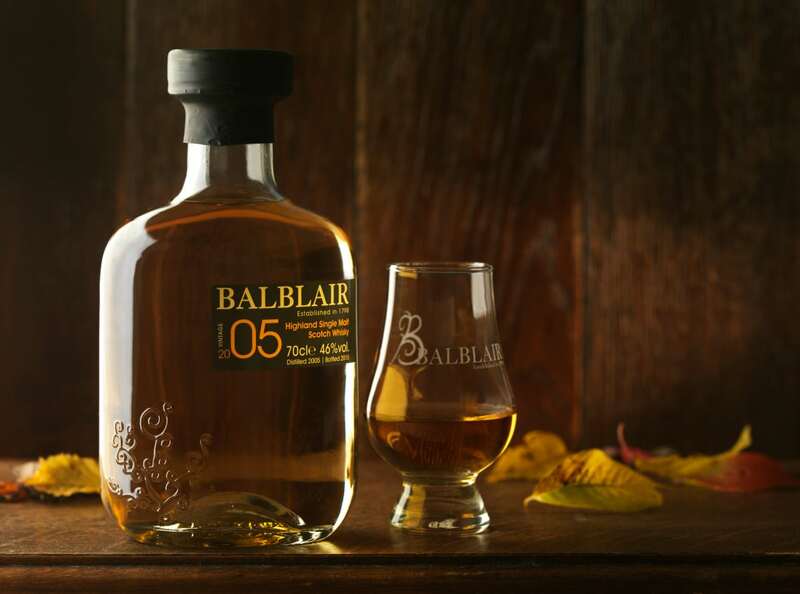 While there’s a very subtle smokiness, Balblair 2005 is surprisingly elegant and has a complex aroma of fruit and toffee. On the palate, a floral-led elegance is joined by further notes of citrus, apples and prominent sweetness of vanilla and toffee. The finish, on the other hand, is exceptionally smooth and lingers with notes of spice in contrast with the whisky’s sweetness. Elsewhere, complementing the sweet notes of Balblair 2005, there’s a developing richness that lends real character to this particular vintage. A Single Malt Scotch from one of the Highlands longest-established distilleries, Balblair 2005 has a sweetness greater than the 2003 vintage, but is not so rich as the 1999 vintage. However, with prominent aromas of oak and luxuriant toffee, plus a remarkable smoothness, this is an impressive entry-level single malt. While though the 1999 vintage is perhaps best suited to traditional haggis, neeps and tatties – Balblair’s 2005 is an ideal dram to commence any Burns Night celebrations. Further information on Balblair Distillery can be found at balblair.com.